Zelda lives in a world of your imagination. Ah, the Zelda timeline. Nintendo seemingly put all the big canon arguments to rest with an official timeline back in 2011, but all it really did was make fans more confused. And now Zelda producer Eiji Aonuma is saying that the placement of Breath of the Wild, the newest game in the series, is best left to one's imagination, effectively rendering it all moot. 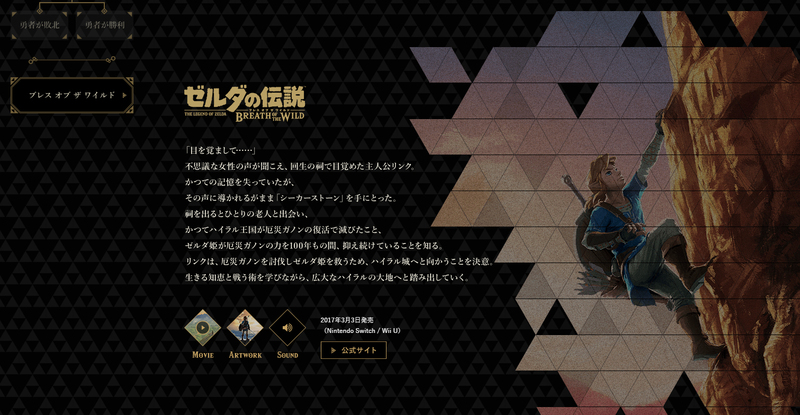 In The Legend of Zelda: Breath of the Wild--Creating a Champion hardcover book released last week, Aonuma talked about his reasoning for being unclear about Breath of the Wild's placement on the official timeline. As Aonuma tells it, the decision to leave things murky has a lot to do with the overjoyed reaction many Zelda fans had to playing Breath of the Wild for the first time. Aonuma explains, "With this game, we saw just how many players were playing in their own way and had those reactions I just mentioned. We realized that people were enjoying imagining the story that emerged from the fragmental imagery we were providing. If we defined a restricted timeline, then there would be a definitive story, and it would eliminate the room for imagination, which wouldn't be as fun." In other words, Aonuma is basically saying, you shouldn't be paying much attention to that big, elaborate timeline from the Hyrule Historia. Zelda is anything you want it to be. The means whatever you want it to mean. "We want players to be able to continue having fun imagining this world even after they are finished with the game," he continues, "so, this time, we decided that we would avoid making clarifications. I hope that everyone can find their own answer, in their own way." Fans have been trying to puzzle out Breath of the Wild's place on Zelda's timeline since its release back in 2017. It was officially placed at the end of the three timelines back in August, but even then Aonuma and director Hidemaro Fujibayashi cast doubt on what it really meant. “Well of course it’s at the very end," Aonumba teased in an Famitsu interview translated by Siliconera. "But, I get what you're asking, it's which timeline is it the end of?" Fujibayashi responded, "That's... up to the player's imagination, isn't it?" Comments like these confirm that Zelda's timeline means... well... pretty much nothing, which fits with Nintendo's general approach to game development. Zelda loves to tease longtime fans with subtle connections and callbacks, but it has never had much time for canon. It will do anything it wants with the series even if it massively conflicts with the timeline. Breath of the Wild is a marvelous game—we called it our Game of the Year in 2017—but trying to put it in the broader context of the series will only give you a headache. Zelda is best understood as a series of sometimes conflicting legends that largely stand on their own. Some may connect, but they will never fall into anything resembling a coherent and linear timeline, no matter what official sources might say. That ship largely sailed once Ocarina of Time came out. Thankfully, Zelda is a pretty neat series whether or not the games connect in an orderly fashion. And if you absolutely need order in your life, there's always Zelda 2, which is a direct follow-up to the original game. If we're lucky, it may even get a remake someday. Tagged with News,	Nintendo,	Switch.